Uttar Pradesh (UP) GK Question in Hindi Sample Paper 4: Uttar Pradesh (UP) General Knowledge Sample Question Paper No. 4 with Collection of 10 Quiz from Uttar Pradesh (UP) GK . Uttar Pradesh (UP) General Knowledge (GK) and General Studies (GS) Questions from various examinations of Uttar Pradesh (UP) Govt. and central Govt. 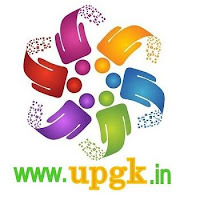 Here is collection of Uttar Pradesh (UP) GK Quiz in PDF Format for free download on Best website for Uttar Pradesh (UP) GK in India. Candidates ca download Uttar Pradesh (UP) GK Sample paper in PDF Format for free from below website link. Q.1 Which is the longest canal of Uttar Pradesh? Q.2 Where is the oldest museum of the Uttar pradesh situated ? Q.3 Which one of the following was given classical language status recently? Q.4 Who was the first Lok-Ayukt of Uttar Pradesh? Q.5 Who of the following prime ministers of India was not born in Allahabad? Q.6 Who was Uttar Pradesh’s chief minister in 1992? Q.7. In which of the following years did the present name of Uttar Pradesh come into existence? Q.8 What is the state flower of the State of Uttar Pradesh? Q.9 Who is the custodian of the Constitution of India? Q.10 Magh-Khichari, Gurria, Bajhar, Holi festival are celebrated by which of the following tribes in Uttar Pradesh? Such a nice blog. These questions are really helpful for the student for preparing for their capetition exams. Hope to get some more information in future also.